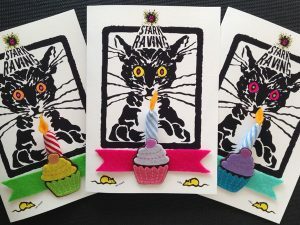 Part of our new line of original cards, Sentiments & Celebrations™, which are handmade and printed in-house, by StarkRavingCat.com. 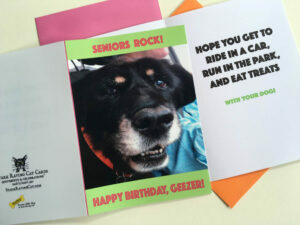 The image is printed on high gloss photo paper, for a luxury look. 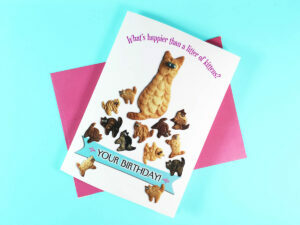 This card is blank inside, and comes with a simple white envelope. 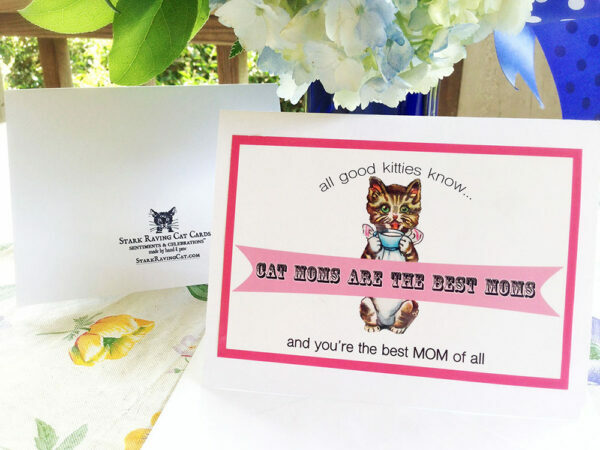 It measures 6.5 inches wide x 5 inches tall when folded, and we mail it to you in a sturdy kraft envelope. 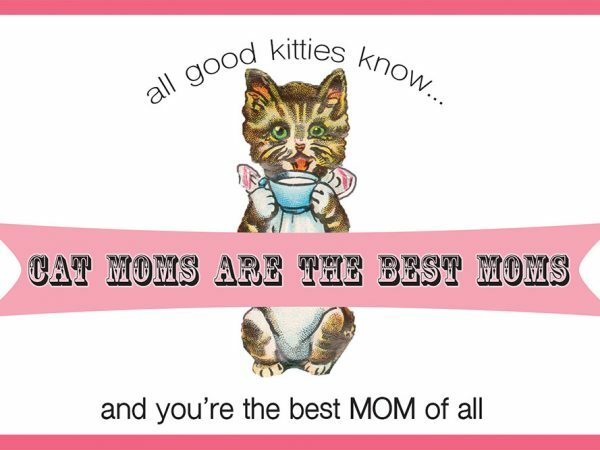 My notes: The vintage kitten here is reproduced from an old, fragile piece of Victorian scrap, from my mother’s collection, and has been in the family for decades. She had a large box of these die-cut papers, and as a kid I used to make them into Valentines and art pieces. 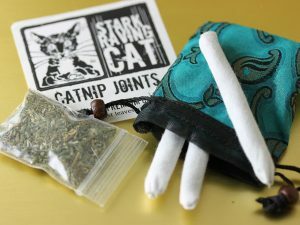 I guess I’m still doing that. 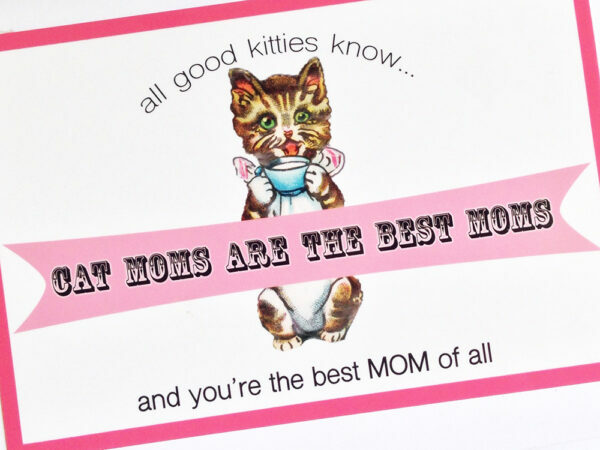 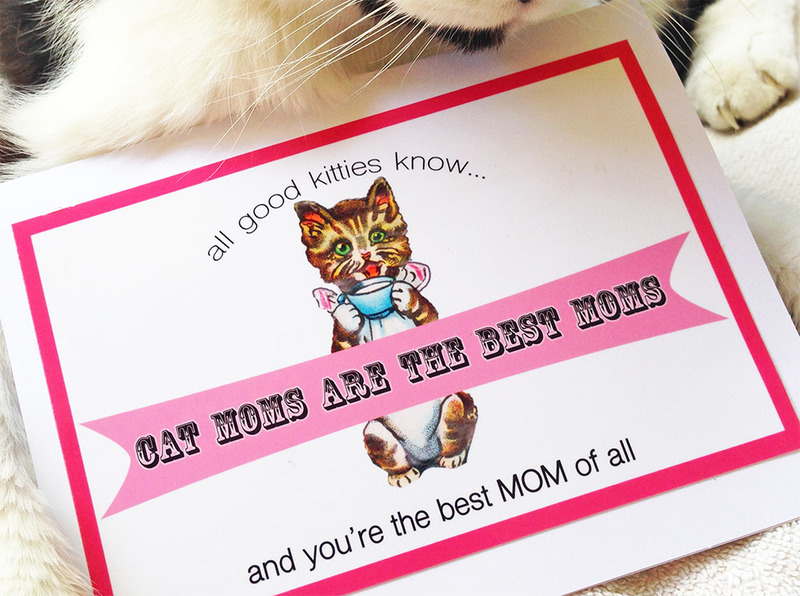 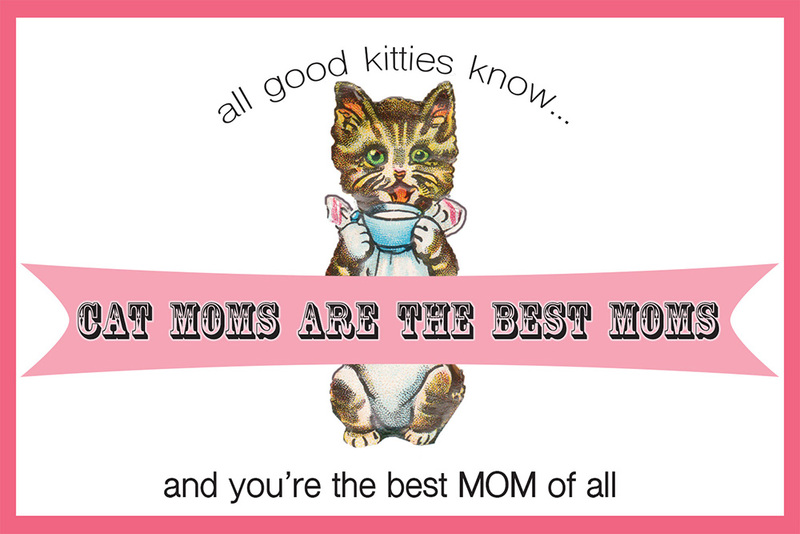 We love love love all cat moms, and think this card sends that message loud and clear. 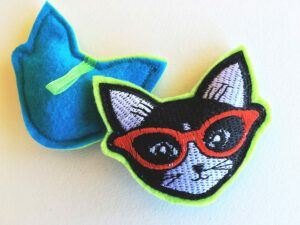 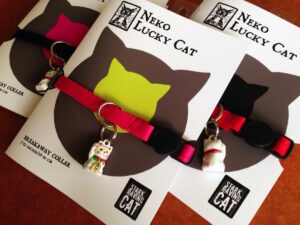 We hope it makes your cat mom super happy!